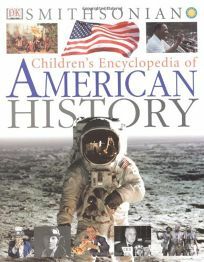 Produced in association with the Smithsonian Institution, DK's Children's Encyclopedia of American History by David King is a comprehensive overview lavishly illustrated with period photographs, paintings and drawings of people, objects and events, as well as maps and charts. Separate topics-from ""The Constitution"" to ""Terrorism Strikes Home""-unfold in double-page spreads throughout 18 chronologically organized chapters. An appendix includes a list of the U.S. presidents, a chart of key facts about the 50 states, and the texts of the Declaration of Independence, the Constitution and its Amendments, plus the Gettysburg Address.